Apparently most land mammals consume their afterbirth. 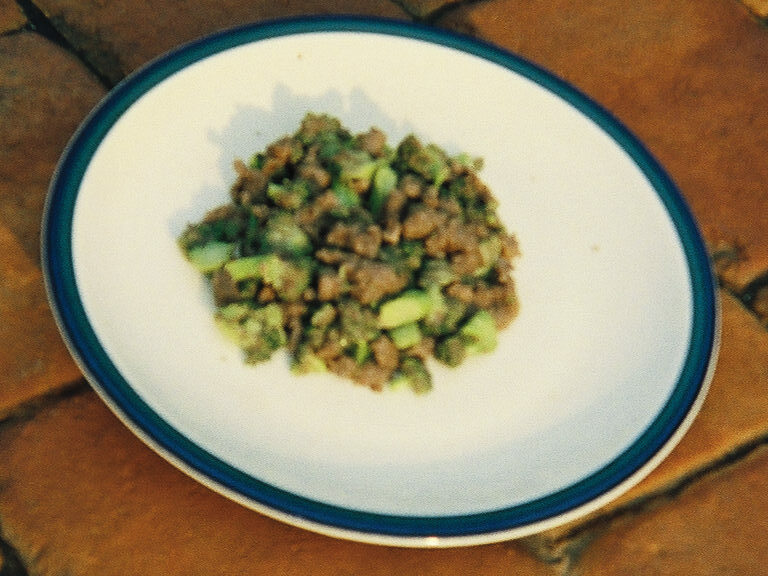 However, the consumption of placenta is not a common practice among humans. Some advocates think this should change. According to an article in the Daily Maverick, “a host of new mothers say they choose to eat their placenta for health reasons, claiming it speeds their recovery, increases milk production and prevents postnatal depression”. For most people the yuck factor, also known as the wisdom of repugnance, provides sufficient reason to respond negatively to the question of whether or not a mother should eat her placenta. Yet, it appears for a number of women the “yuckiness” is overcome due to the higher goal of potential health benefits. Life sciences have powerfully pushed against the yuck factor over the years. The imperative towards health, especially the health of a newborn and mother, seems to justify placenta consumption. Although the article is largely click-bait, it is interesting to observe the purported evidence of the health benefits as a means to overcome objections based on aesthetics. If this practice becomes more widespread perhaps a taste for it will be cultivated. Once upon a time kale’s sole virtue was health, but now people say they actually enjoy it…you knows. A new gym recently opened in Summer Hill. The gym replaced the old Blockbuster video store – no doubt to the delight of some public health advocates. 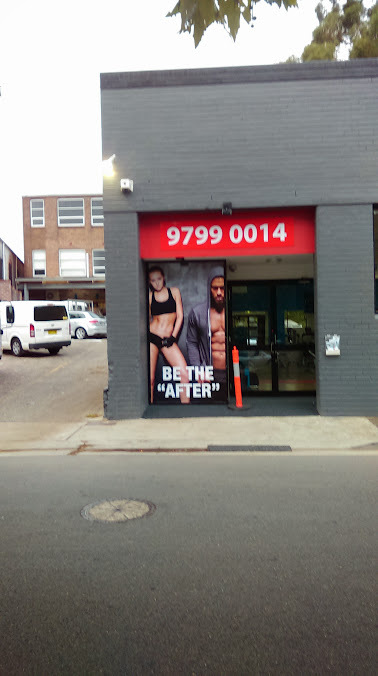 As the renovations were finished a large poster appeared of a ‘ripped’ man and woman with the threatening challenging imperative – ‘Be The “After”‘. I was initially taken aback when I first saw this poster. I hadn’t seen many women thumbing their gym shorts in Summer Hill. Or hooded men with six-packs glaring. Both seemed a little out-of-step with the inner-west-come-north-shore aesthetics of Summer Hill. The following morning my local council member was handing out leaflets at Summer Hill train station. I stopped and asked if he had seen the poster. No, but he’d go and have a look. A week or so passed and I got more used to the poster. The local council member was leafleting again. I asked him what he thought of the poster. ‘A little surprising. I spoke to the owner who said it was temporary but would remove it if people complained.’ The local member told me that even some women didn’t like it. Several weeks passed. The poster remained. I took a photo of it to show friends and ask their opinions. Most thought it was pretty “full-on”, some wondered what my problem was. It is not the exposed flesh or sexual pose as such, but the portrayal of unrealistic body norms as an ideal. If the models were from the production – Nothing to Lose – or the This Girl Can advertisement then I wouldn’t have a problem. 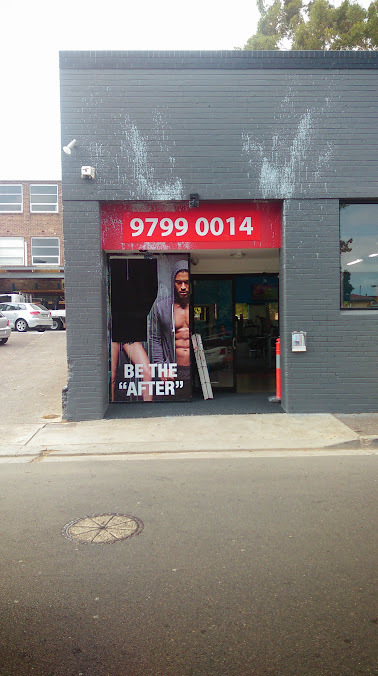 The slogan – ‘Be The “After”‘ – is also problematic for the insistence assumption that everyone needs transforming. However, such transformations are unrealistic and damaging to health and well-being. This picture from Threadless illustrates this point. Many of the images of fit and healthy bodies are like the unicorn – they don’t exist. They are often photo-shopped. However, they are held up as an achievable goal for everyone. If we work hard and truly believe, we can transform ourselves into the “after”. But in reality we are the rhino – anxiously sweating away on the treadmill wondering when we will transform into a unicorn. 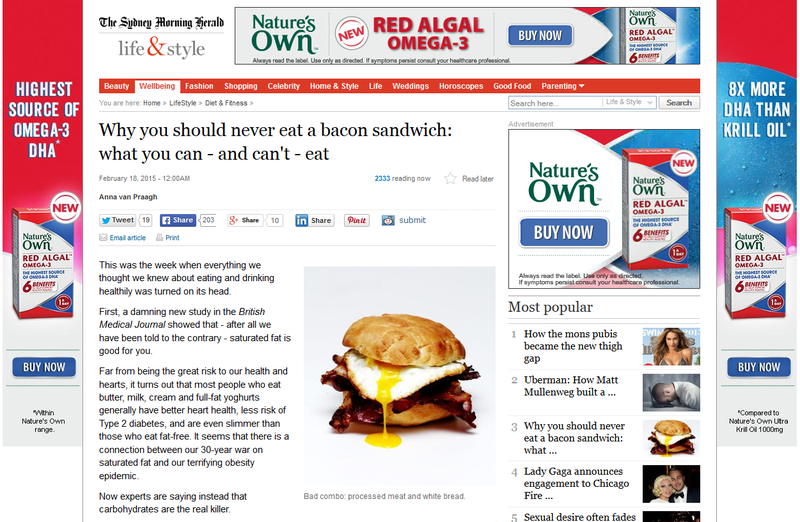 Click this link for more of my thoughts on bodes, health and obesity. Yesterday afternoon I went to do some shopping. As I came into the car park I noticed the poster had been defaced. It appears I was not the only one in the community who didn’t like this poster. However, unlike my approach of going through the office of elected representatives to bring about change, these folks went with the swifter approach of direct action. Paint covered the walls above the poster and it appears the woman’s torso had been cut out. I am not sure if this was because something had been written there and the owners cut it out or if the people responsible for the defacing cut it out. While I think it is unfortunate that this will cost the owner in re-painting the walls – and other approaches are perhaps preferable (at least initially) – I do think it was effective in sending a swift message. After taking this picture I noticed a young boy (10ish) walk out of the gym. I left and went into the shops. While in the shops, I turned and noticed the boy was taking a picture of me with a phone. I said “Hello”. He turned and ran. After a few minutes I noticed another boy-teenager (17ish) in gym gear waiting in the foyer. I looked at him. He looked at me. I continued my shopping. When I finished, after about 10mins, the older boy was still in the foyer. I walked passed him. He started following me. I walked through the car park. Still following me. I walked out of the car park and towards some shop windows. I could see his reflection (super sleuth move I know). I quickly turned around and walked directly at him. He turned. I sat down at a park bench. He walked away and back into the gym. Then, I remembered, I forgot to buy light globes. On March 16, I woke to the news that Jason Molina had died. Molina’s struggles with alcoholism and associated health problems became widely known in 2009. It also became known that his family were struggling to pay his medical bills and that Molina did not have insurance. Molina’s death is a singular event. It is unique. It is his death. But a feature bears comparison to the deaths of Mark Linkous (2010) and Vic Chestnutt (2009). All three died without health insurance and with financial difficulties. This scenario is not isolated to these three. Artists like Molina, Linkous and Chestnutt were never chart-toppers, but during the 1990s they developed strong and loyal followings, including the likes of REM, Glenn Hansard, Tom Waits and others. Despite gaining more exposure into the 2000s, this did not necessarily translate into greater sales or financial security. My aim here is not to defend the music industry, but connect points whose relationship isn’t immediately apparent. I contend that the decline in artist royalties due to streaming sites is a social determinant of the poor health and life expectancy among artists. And this places an ethical obligation on consumers. If consumers are only paying approximately $10 a month, but consuming more music than ever before, and artists** are only receiving 0.5-0.7 cents per stream while also living lives that are socially and medically insecure, then it is time to broaden the scope of questions from legality to ethics. Spotify and other sites like it may be legal, but are they ethical? There is a lot talk about ethical sourcing of coffee beans or the conditions of workers in clothing manufacturers. This is important. But it would be a sad situation if this ethical concern was not also extended to those who produce the music that enriches and shapes our personal and social realities. Many musicians of lesser fame than Molina struggle to secure basic needs such as medical care or permanent residence. This is part of mythos of the struggling artist, but it is also a reality that has been compounded by developments in music consumption via music streaming websites. I am not suggesting that consumers necessarily need to stop using Spotify or other websites – although I am not excluding that option either – but they do have an obligation to ensure an equitable and just compensation to the artist. This could be achieved by hearing a song on Spotify and then buying the album directly from an artists website. I am sure there are many more imaginative approaches. But the point is that if we love a song or an album, then we should extend that love to the person that produced it. * This fee isn’t for the music, but for the privilege of not having advertisements. **By Artist I mean people who put their lives into their music. People who may have interim jobs but predominately depend on sales of records and concert tickets to live. I am not referring to hobby artists, people who have a profession and some artistic endeavor on the side.